The Prestige N3 apartment is a particular bright apartment with light Alpine style decoration and large French windows that open up onto two south-facing balconies. Like the other apartments it has a newly renovated and well equipped kitchen with modern kitchen appliances – Perfect to cater for the whole family. The kitchen, living and dining area is open-plan and all situated on one floor. 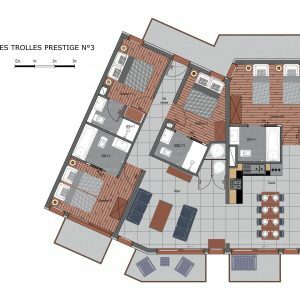 The N3 apartment is near enough identical (layout and decoration) to the N2 apartment. 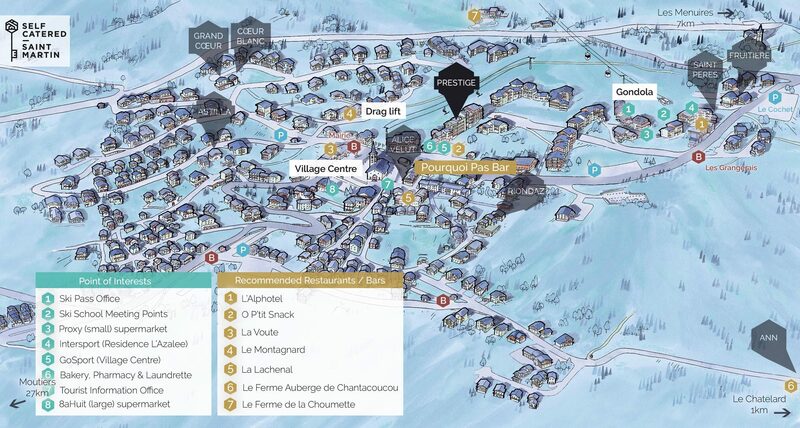 Prestige N3 is the closest apartment to Rue des Grangeraies. It is situated 4 flights of stairs down from Rue des Grangeraies and 6 flights of stairs up from the village centre. The access to the village slope is on the same level than the N3’s front door.